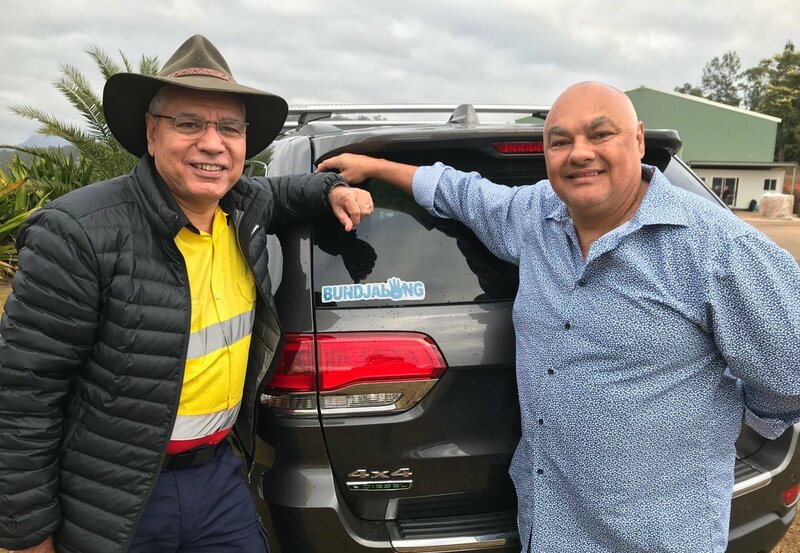 Pictured: Paul Dodd, Yaru Water (right) and Warren Mundine (left) who interviewed Yaru recently as part of his Mundine Means Business series on Sky. We wanted you to meet some of the people behind Yaru Water. As you know, Yaru is a unique partnership between an Indigenous and non-Indigenous family. First of all we’d love you to meet Paul Dodd; Yaru Water’s Indigenous partner. Through a series of interviews we hope that you can get to know the faces behind our Australian social enterprise. Paul, can you tell us what it was about Yaru Water that appealed to you when you became a partner? First of all Yaru Water was a Bundjalung Business. The original co-founder is Bundjalung and is still heavily involved in the Yaru Foundation, so being a Bundjalung man I thought it would be natural for another Bundjalung family to continue the legacy.  I had a bit to do with the original team in the early days of Yaru, and advised and coached their move to be a supplier to AIMSC (original name for Supply Nation). After meeting the Martins (my co partners), my wife Bianca and I discussed their passion and commitment to Indigenous Australians, producing a quality product, social inclusion, and of course family. They were not just emotionally committed but also financially to the brand. It was clear they were in the business for the right reasons and it was an easy decision to become a partner after taking these elements into consideration. My Mum was a Bundjalung Women, with her mum also a Bundjalung woman from Coraki. I grew up in Mt Druitt and moved to the Gold Coast/ Tweed area 26 Years ago. I have 4 Children, Shani, Kyle, Jedda and Jannahli and happily married to a beautiful Kamilaroi women Bianca. Work wise I’ve worked for both State and Commonwealth Government departments until 2007 – so 22 years in total. In 2007 I established my other business Corporate Culcha, and then Geared Up Culcha in 2013. Three years later I became a partner in Yaru Water. How important is working with Indigenous communities through the Yaru Foundation – to both yourself and the business? The opportunity to be able to transfer profits from a business to the Yaru Foundation is very satisfying and humbling. Not all businesses have the opportunity to make real positive change from a health and wellbeing perspective. The projects that Yaru have already funded are unique and compelling, in particular being able to fund the access and ongoing daily production of 5000 litres of safe drinking water to a whole community in remote WA. This is when you reflect and think about the things we take for granted and reimagine how profit is best served when it is for a purpose. We are supporting communities to be healthier, and have now given them the ability to sustainably supply themselves with a natural resource that is accessible to most other Australians. These types of projects and outcomes are important to every single person who works in and alongside Yaru. What advice would you give to other businesses, specifically in relation to developing a business that creates positive social change? Be passionate about your cause. Be resilient – it is an evolution not a revolution. Choose one cause at a time, as the scatter gun approach will take you off mission. Ensure you can measure your impact. 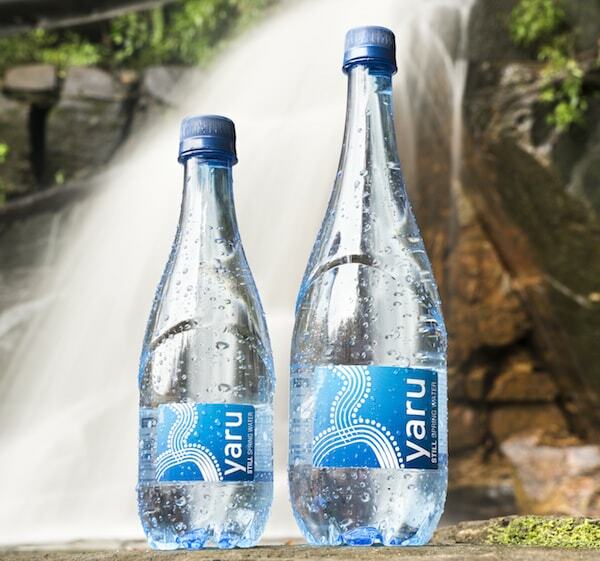 Last but not least, tell us about your business values and how they are a key part of Yaru Water. It’s so important to maintain cultural integrity within the business and of course product integrity. Not just some of the time, but all the time. I believe that Yaru always ensures that the cultural integrity of the business is never compromised. This applies to all facets of the business. From the way we socialise our brand and via giving back to Indigenous communities throughout Australia. Right through to the family values of the partners themselves. The entire team upholds the integrity of the water, from the way we source, right through to the processing, bottling, marketing and sales of the finished product. Our water is of the highest quality and we will never jeopardise that. We have a very proud team who are 100% behind the ethos of Yaru.